California Westie Rescue View other Westies for adoption. 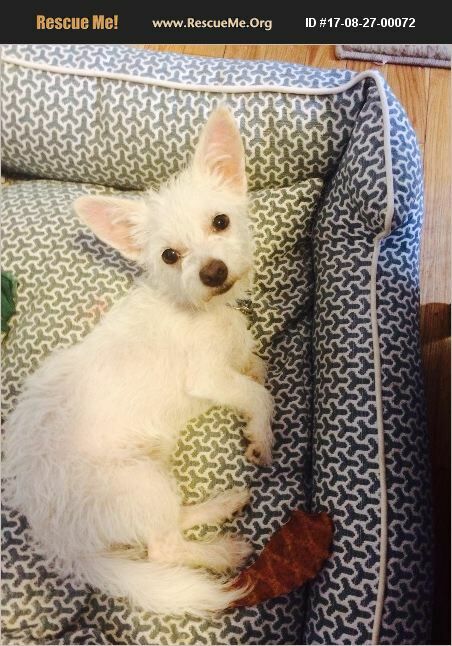 America is a sweet and gorgeous almost five month old Westie/ Terrier mix. She was saved from under a car where she was hiding scared and hungry. She is sweet and loving and good with all dogs and people. We are looking to place her in a home with another young playful dog and with owners who are not gone all day. No small kids and a non chaotic environment would be best for her. She has had her first shots, microchipped and will be spayed before she is adopted.